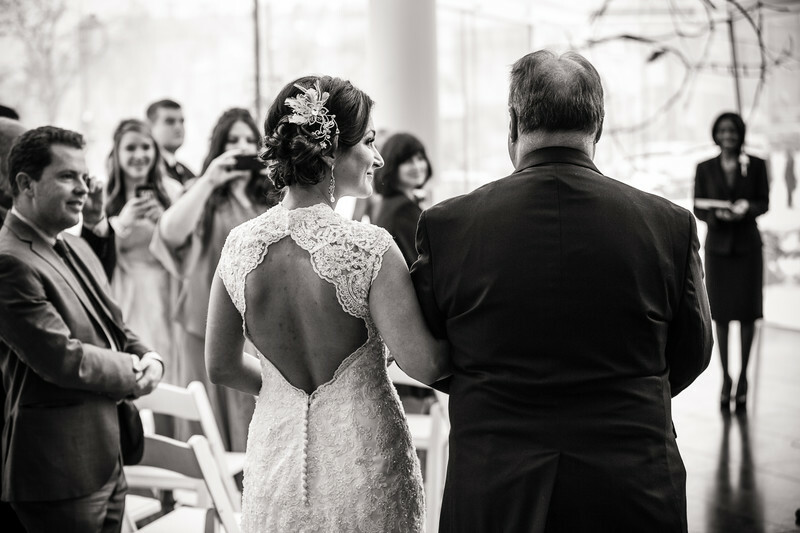 That moment just before the bride walks down the aisle with her dad on her arm. She gives him one last look before he gives her away to her future husband. This wedding was photographed at the Madison Museum of Contemporary Art right on State St. 1/400; f/3.2; ISO 500; 70.0 mm.